WHAT ARE THE THINGS IN YOUR LIFE THAT YOU “CAN’T NOT” DO? In other words, what activities, involvements, thoughts, principles, etc. do you find yourself inexorably drawn toward, either in the way you do your work or how you “back fill” your time when not working? These CAN’T NOT’s keep showing up, even when you have difficulty putting them in words! Over my years in career coaching and counseling, I have discovered the following fact: Even though a significant number of individuals never discover what they should be “when they grow up,” they are constantly trying to do it! Allow me to share an example. I had a client whose job was to assemble complex systems on which to suspend large lighting and sound systems for entertainment venues. His work was something like putting together full scale Lego™ structures according to specific diagrams. It was important and intricate work. In session, I asked him to describe something he had done that caused him to feel proud, accomplished, something that he thought was “worth doing.” His response to me spoke volumes: “Does it have to be at work?” (Of course, it did not have to be at work, but at least some of it should be!). His answer: he shared a time when he worked with a friend on the design, selection of material, and construction of a customized kitchen system. His eyes lit up as he shared this adventure with me (not unlike the phenomenon of Flow, as described by Mihaly Csikszentmihalyi – great stuff, you should look it up!). Clearly, this gentleman’s CAN’T NOT should embody creativity, design, and the hands-on manufacture of unique “works of art” – like a custom kitchen! Here’s a fact for us all: if it doesn’t happen at work, it must happen somewhere! I often use carefully selected assessments with individuals to aid them in identifying these themes, discovering that the best of these instruments seldom “inform” the individual of new personal information as much as they “affirm” for them of where their CAN’T NOT’s lie. How about you? Can you articulate your CAN’T NOT’s? Are you practicing them? If not, everyone loses! Take action to make it happen. Trust me…You CAN’T NOT do this! OK, I admit it. I was born smack dab in the middle of the Boomer Generation. I can’t help it; I was not privy to the decision for me to enter the world. I did a quick Internet search this morning on the term “Millennial”, came up with over 133 million hits. Wow! And I am constantly hearing about how the New Workforce is so disloyal, impatient, in it for themselves, etc., etc., etc. I think I have the answer: They BOTH are! Another task IS more work, and it is ALSO an opportunity to demonstrate value, acquire more skills, expand one’s influence, etc. Having read many books and countless blogs on this topic as well as working with individuals whose birthdays place them in virtually all the work groups out there today, I’ve identified some practical insights regarding these shifts in the workplace. A client once told me that his son challenged him for his unwavering commitment to the company that decided to show him the door, suggesting that it was a waste of time. My client was able to see the other side of the coin as well, noting that his extensive experience, qualifications, skill sets, etc. were a direct result of his years with the company. As a newly minted “Free Agent,” he can now take all of his expertise out into the wide and woolly world of new employment opportunities. So, opportunity and more work can and should happen simultaneously. What can we do about this, as either an employer or employee? Is loyalty completely dead? Identify what I like to call “Your Best Stuff,” the God-given abilities, interests, values that drive you and seek opportunities to practice them in your present job and in your career development. This is why I borrowed the phrase “Work as Gift of Self” from Marsha Sinetar in To Build the Life You Want, Create the Work You Love. After all, wouldn’t it be great if “doing what I am told” and “getting to do what I do best every day” were the same message?! P.S. These characterizations are not unique to any generation, although my insights can apply to us all! As the holiday season bears down on us all, the pressing questions for the job hunter/careerist are: Should I take a break? Is anything really going to happen in the job market before the New Year? Don’t I deserve a respite from this brutal process and relax by the fire with eggnog? Well, YES and NO. To be sure, taking some time during the holidays to enjoy the delights of the season and appreciate those around you is an excellent idea. This is certainly NOT the time to pull out the plastic and run up a tab with the retail industry, but having a sensible, enjoyable holiday time with family and friends is something you DO deserve. That being said, please allow me to make a case for maintaining a certain level of activity between now and the waning din of the noisemakers on the first day of the New Year. There is no better time to network. The holidays represent an extraordinary number of opportunities to see and be seen by family, friends and folks from all over. It would be foolish to not consider all of this “face time” as a resource to increase your “Positive Visibility.” Please understand the importance of your attitude and approach, however. Nothing can put the damper on a festive gathering more quickly than someone who is pumping the crowd for job leads, or who has the “deer in the headlights” look of someone whose career is stalled! Be sure to focus your contact with others in a positive manner, seeking information, advice and referral to investigate and consider alternatives. Remember that most individuals truly would like to help, but are at a loss on how to be of assistance. Allow them the luxury of simply giving advice rather than 1) feeling pressed to deliver that killer contact for you or 2) staring through you to someone, anyone on the other side of the room. My experience has been that, in such cases, most people will choose Door Number 2! An additional word of warning: be sure that your solicitation of “next step” options and advice is not the first question on your list, nor is it the only item of conversation. Ease into these topics. Ask how they are doing, what is new in their lives. Show honest, genuine interest and concern for them as people, not as networking contacts. Also, help them realize that you are in the investigation mode, not desperate for a pay stub or a lead to that next great promotion. Many decision makers are at home, not on the road. One of the challenges of job search and networking is navigating through the maze of individuals who need to participate in any decisions being made. In mid-August, for example, it is often difficult to get the right people in the same room (or even in the same state) long enough to give their opinions, since Smitty is at Myrtle Beach and Ms. Jones just left for New England. This is not as true during the holidays! Indeed, many people will be staying nearer to home, traveling less and becoming more accessible. Although staffing issues may not be at the top of the holiday list, there are still decisions being made, perhaps even more quickly due to the availability of decision-makers. In addition, the end of the year is often the time when budgets are being reviewed and finalized, and new business plans are starting to take shape. Remember: The best time to get connected is always the present! Your competition may be reduced. This is one of my personal favorites! Many of your fellow careerists may decide that this is simply not the time to think career at all (for all of the reasons we recounted earlier) and mothball their power suits until the New Year. As a result, there is high potential that your competition will dwindle. Why not take advantage of this “thinning of the field” to forge ahead? As others decide not to take any action until early next year, your well-placed voicemail, LinkedIn update, tweet or short e-mail may improve your standing. In addition, it’s much more effective to maintain a level of activity than attempting to ramp up again on January 2nd! Most individuals are more open to being helpful at this time. Admittedly, this will not always be the case. Certainly I would not recommend an intense networking contact at the checkout counter on Christmas Eve! It is true, however, that many are more full of the “milk of human kindness,” more willing to share and provide honest insights and assistance to a well-placed question or request. Now that I’ve made my unassailable arguments for burning up the snow-covered pavement with your career development, I want to introduce the other side of the issue – we ARE in the Holidays! Be sure to take time to care for you and yours, to be thankful for what you do have, to count your blessings. And perhaps, even sip a flagon of eggnog at least once in front of a crackling fire! Sounds good, doesn’t it?! Are you Leaving… or Are you Going?! Sometimes career and life decisions just don’t seem to work out. Welcome to life, Sports Fans! We’ve all been there at some time! Taking the next steps can be an exciting and rewarding journey, but it can also lead to more disappointment and frustration if you don’t take the time to think through your move. ARE YOU LEAVING, OR ARE YOU GOING? I have often told individuals that it’s critical to be GOING rather than simply LEAVING. Why? When you are LEAVING, the destination doesn’t matter so long as the place you were is in your rear view mirror, often resulting in a poor decision (you may end up somewhere even worse!). When you are GOING, you have a destination in mind and take more purposeful actions. So, which are you doing? LEAVING or GOING? The moral: In insisting on delivering only the very best every time, you may end up accomplishing virtually nothing! 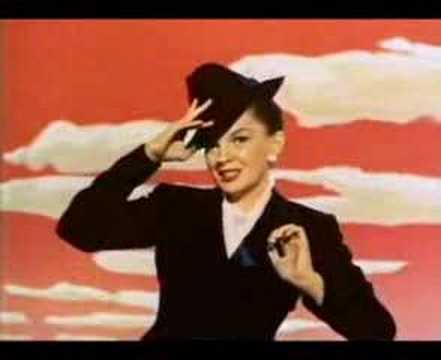 “Forget Your Troubles” was written by Ted Koehler in 1950 and memorialized by Judy Garland. In the context of career development and personal growth, this seems easier said than done. Job Search, Career Advancement, Life, etc. is full of discouragement, rejection and an abundance of “No’s”. “Get happy” just doesn’t cut it. Actually, however, it’s pretty good advice. Research by psychologist Martin Seligman (author of two books on my reading list in http://www.goodreads.com, Learned Optimism and Authentic Happiness) has shown that “getting happy” can actually be done! As a new graduate with a bachelor’s degree in psychology in the 60s, Seligman assisted in behavioral research using animals to determine how they learned to avoid unpleasant situations. Without going into the details (don’t worry, the subjects weren’t hurt! ), conditions were created where the animals were unable to avoid a stressful situation. In other words, regardless of what they did, they experienced an unpleasant response. It reached the point where they would do absolutely nothing, since what they did changed nothing! This was described as “learned helplessness” – in humans, something we may call “pessimism.” Seligman eventually started to wonder that, if we can “learn” to be pessimistic, maybe we can learn to be optimistic, too (enter his first book, Learned Optimism). Now some of us seem to be naturally optimistic, able to see the glass as half full. I’ve always liked the comment of the comedian, “I don’t care if the glass is half empty or half full, I just want to know who was drinking it and do I have to pay for all of it!” Quite honestly, these cheerful types tend to annoy me somewhat. Aren’t they paying attention to what’s happening? At times, I naturally fall on the side of the pessimists – that seems more realistic to me. Then, when things happen, I’m either absolutely right (“I knew it wouldn’t work!”) or pleasantly surprised (“Wow! I didn’t expect this!”). Permanence means when something goes wrong, it will stay wrong, never to correct itself. Learn to live with it, because it’s here to stay. When you fail at something, the results of this experience will affect you for the rest of your life. Deal with it. Personalization means that when something goes wrong, you deserved it because of what you didi or who you are. Don’t expect anything nice to happen to you because you are not worthy of such an experience. You didn’t get that promotion because you are a rotten human being, lucky to be employed at all. These statements sound over the top, don’t they? Yet many of us practice them regularly. By the way, if you register with Dr. Seligman’s website, http://www.authentichappiness.sas.upenn.edu, you can complete an assessment to identify your scores on these factors, along with all sorts of other measures. I don’t want to stop here, however. Seligman, a major contributor to what he calls “Positive Psychology,” offers a step-by-step approach to retooling your thinking (challenging what has been called “stinkin’ thinkin’”). To do this process justice, you really should read his books, but here is the process in abbreviated form. The five steps follow the alphabet – ABCDE. A – Adversity: This is the offending event. I was just turned down for the promotion I was counting on. B – Belief: My natural response, what this situation makes me think. I’m not a good candidate, I’ll probably end up being a greeter at a large retail establishment. I may as well get fitted for an apron now. C – Consequences: How my beliefs translate into actions. Since I’m obviously not a serious candidate for any quality position, I might as well give up and take a paper route. D – Disputation: Here is where the magic can start. I challenge B and C. Am I really a waste of space, with no real options? Seligman says that we need to learn to argue with ourselves. His Learned Optimism book gives some very practical guidance on how to do this. E – Energization: This is where you turn the “argument” with yourself into renewed action. I am not a waste of space. Although I regret not getting this opportunity I’ll find out why, improve my performance and redouble my efforts until I’m successful. There will be days when you just don’t feel like it. That’s normal, especially for those with pessimistic tendencies. Do it anyway. “Fake it until you make it.” You can make a habit of practicing your new optimistic outlook, even if it isn’t your natural style. I have! You’re likely to be very pleased with the results. “The squeaky wheel gets the grease.” This statement can be true at times, however, there is always the possibility that the “hearer” replaces the wheel or, at least, ends up sporting noise-cancelling headphones! Here is my suggestion for keeping your brand out there: think of your brand as a billboard (I say your “brand” answers the following question: “When people walk away from you, what do they have that they didn’t have before you arrived?”) . Here’s how my metaphor works: NO ONE installs a billboard on a well-traveled thoroughfare (LinkedIn, WordPress, Facebook, Twitter, Instagram, et al) on Monday, takes it down Tuesday and awaits the response from eager inquirers! The best you can get from such a practice is the bemused question from travelers, “Wasn’t there a billboard there yesterday?” (hardly a recipe for getting noticed!). No, they must drive by that placard again and again! THAT’S why those annoying commercials are played over and over again, sometimes during the same break in your favorite shows! Please understand: I don’t want you to be that annoyingly repetitious “billboard” that causes people to seek detours (or use those aforementioned headphones to drown you out). I DO, however, want you to regularly use your “billboard” to present your “value proposition” (sorry to use this hackneyed phrase, but it fits here!) to the world. So, what does your “billboard” say, and how often do people “drive by” it?! If you are unsure, I can help!